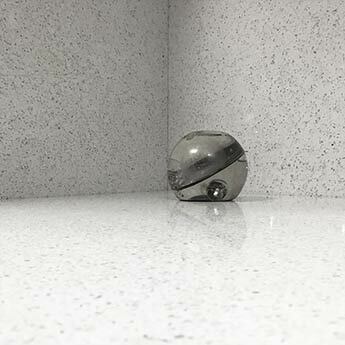 These engineered white quartz tiles, made with 97% quartz, provide a standout appearance and highly durable covering in bathrooms and kitchens. 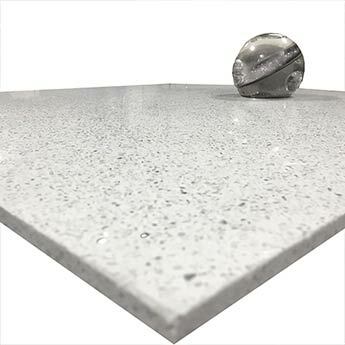 Containing more mirror fleck per m2 than any other tile on the market, these sparkly quartz wall and floor tiles are a great option for contemporary layouts. 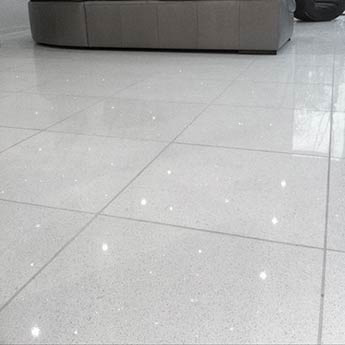 Light bounces off Diamond White Quartz flooring to produce a glittery appearance. 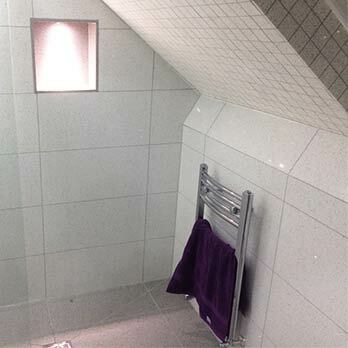 You can also make walls glisten by choosing these white sparkle tiles which are available in a range of sizes. 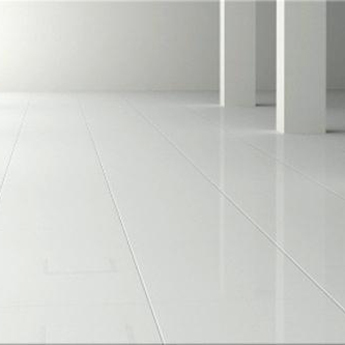 White quartz certainly has the substance to match its bling. 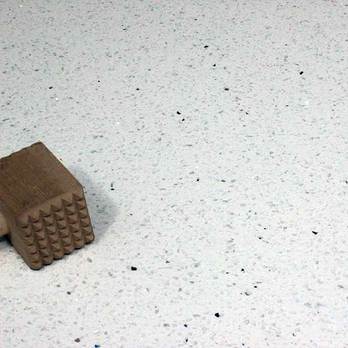 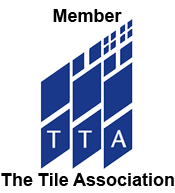 This tile is notable for having an incredibly low moisture absorption rate making it easy to clean and maintain. 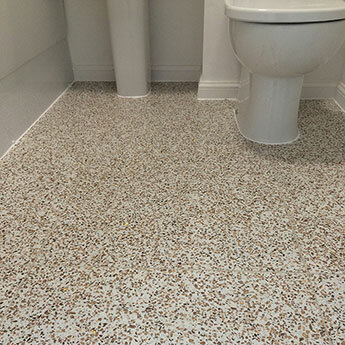 As a result of the manufacturing process which involves fusing crushed resin with quartz, this tile is among the hardest wearing and most durable options for high traffic areas. 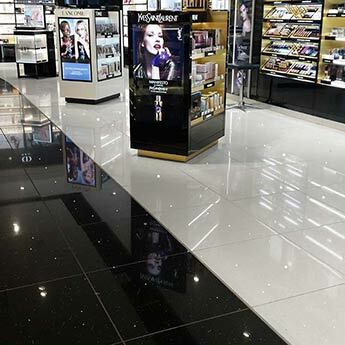 These tiles are therefore perfect for busy public spaces, including the expansive interiors of airports and shopping centres. 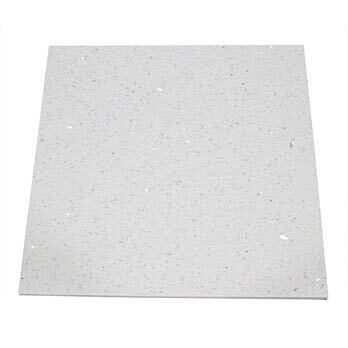 Provide your walls and floors with a real wow factor by choosing these Sparkly Diamond White Quartz Tiles. 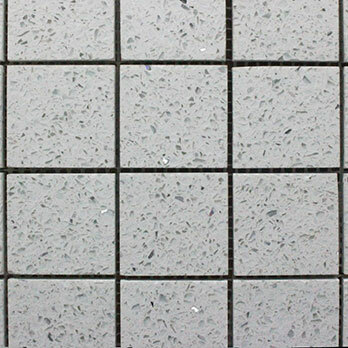 For a classic look you can match them with our Midnight Black Quartz Tiles in your bathroom or kitchen. 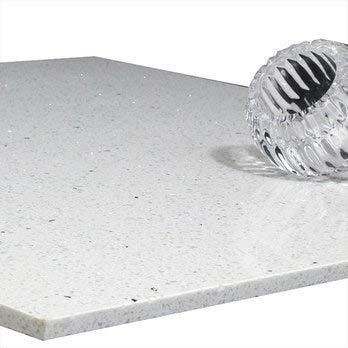 The use of quartz in outdoor areas, with under floor heating systems and within high thermal environments is at your own risk. 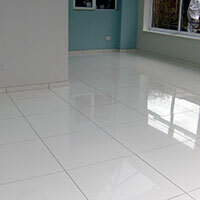 These areas include conservatories and in close proximity to patio doors. 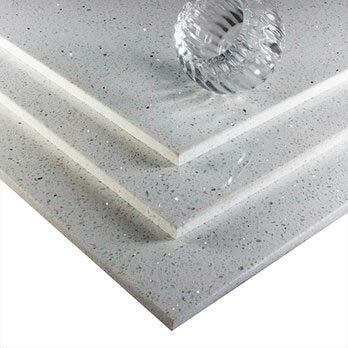 Latex adhesive is not recommended for applying quartz to walls and floors.